You are here: Home / Thoughts, etc. / Off-topic / Untitled. “Untitled” because I can’t think of an appropriate title. 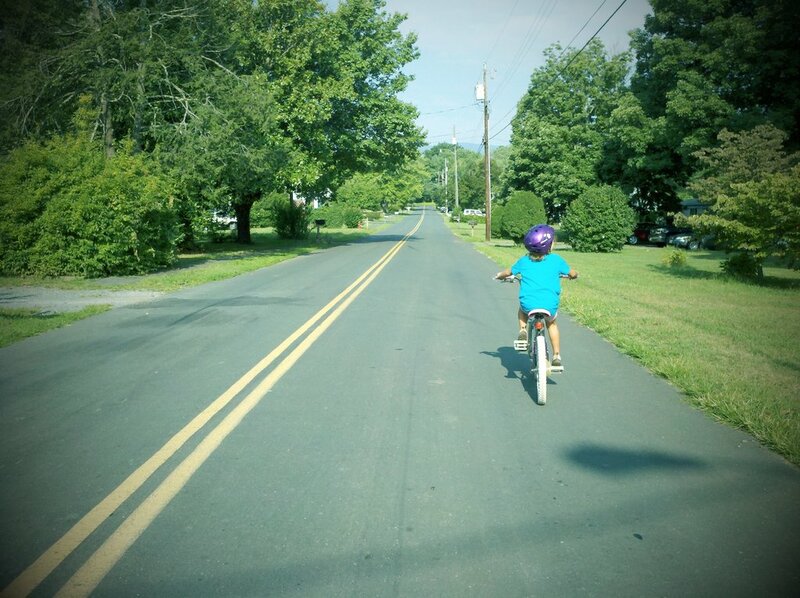 I ride my bike with my younger daughter frequently. In two days, she will be a second grader. This morning we recommenced our morning ritual of riding our bikes to the Crozet Mudhouse, a pit stop on the path to Crozet Elementary. Live life every day. You don’t stay young forever. And these moments must be appreciated. Thanks Jim, I’m gonna hug my three girls a little longer tonight. Thanks for sharing-what a great moment! Awww — wishing you many more perfect days, even if you DO get older than 35 (sheesh).